One of my staple food is egg (I'm a lacto-ovo vegetarian, meaning I still eat eggs and dairies), but lately I find myself cringing whenever I cook the typical scramble (oh-no!). Nalalansaan nako. 😓 A friend suggested that I try other food whenever at home so I don't have to remove egg from my food list. Para din mamiss ko sya, hehe. Whenever I go out of town, egg is my go-to so I can't afford to remove this. 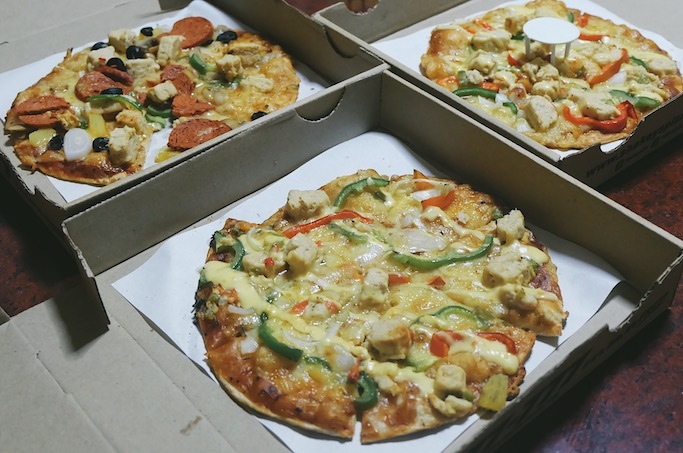 Anyway, discovered some food alternatives which I will share to you guys in this post! 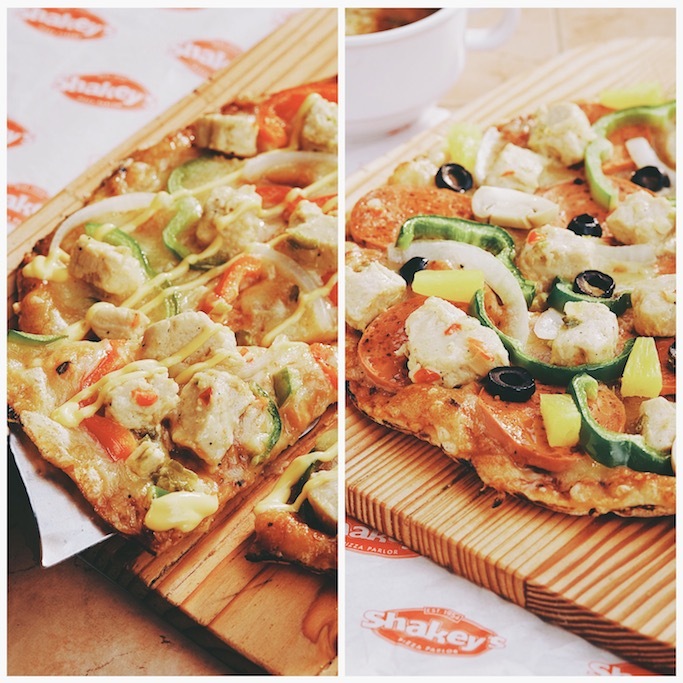 In partnership with UK food company Quorn, Shakey's introduces Premium pizzas that are yummy and surprisingly meat-free! These meat substitutes are made from Mycoprotein that are healthy, gluten-free, low in saturated far, rich in fiber, and also tastes good! They are currently offering Cheesy Chik'N (my favorite) and Protein Surprise. Available till March 31 only! 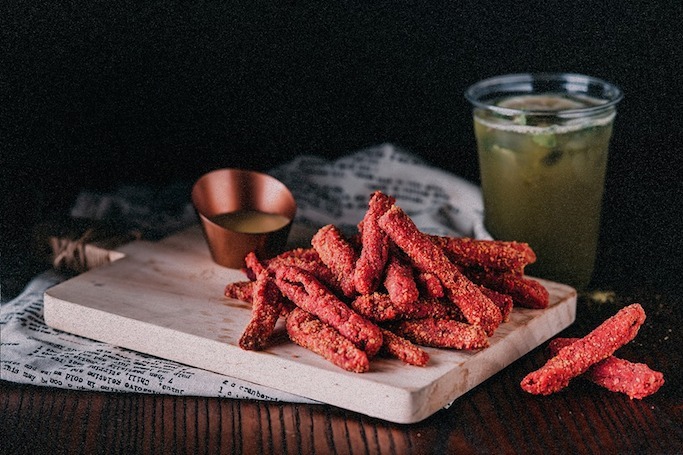 If snacking is also your thing (like me, haha), then here's an alternative to your potato cravings. 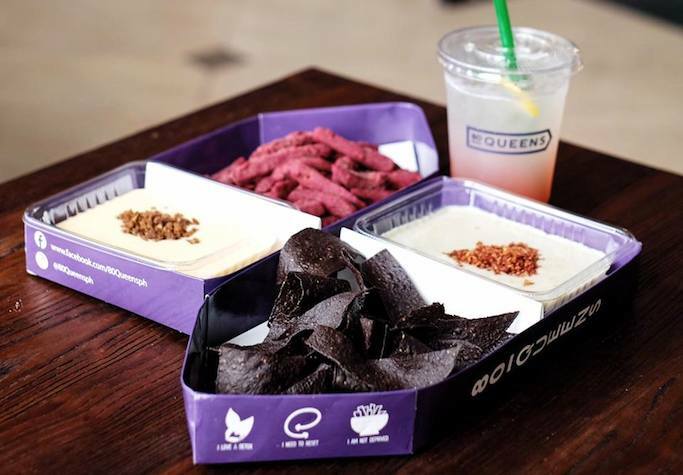 80 Queens, from the same team behind BLK 513, offers Red Fries (beet root fries), and Black Stack (charcoal-enhanced corn chips with yummy dips like curry, matcha, sriracha cheese, and gravy). I hope they open up here in Alabang too! Visit them on their first store in Eastwood! 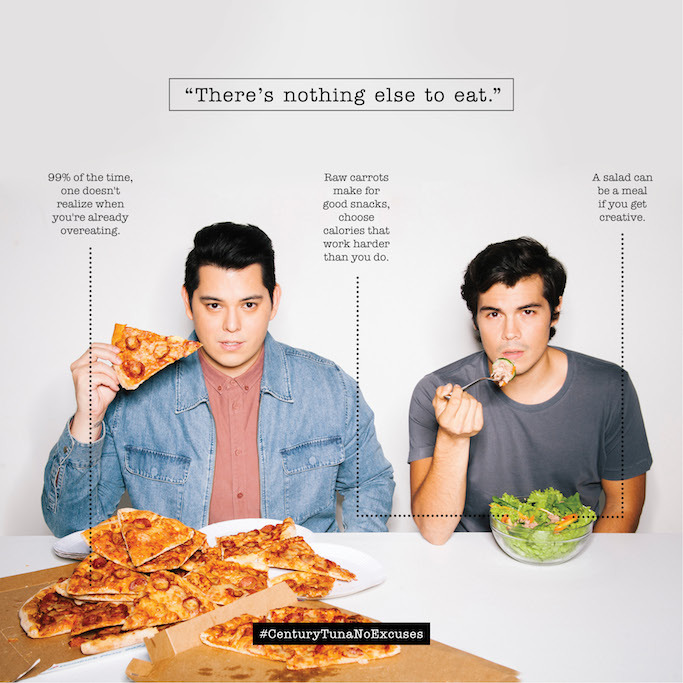 I know that we are all "too busy" and "don't know how to cook", but Century Tuna wants to change this mindset. Although I don't eat fish, this might be of interest to you guys who do! 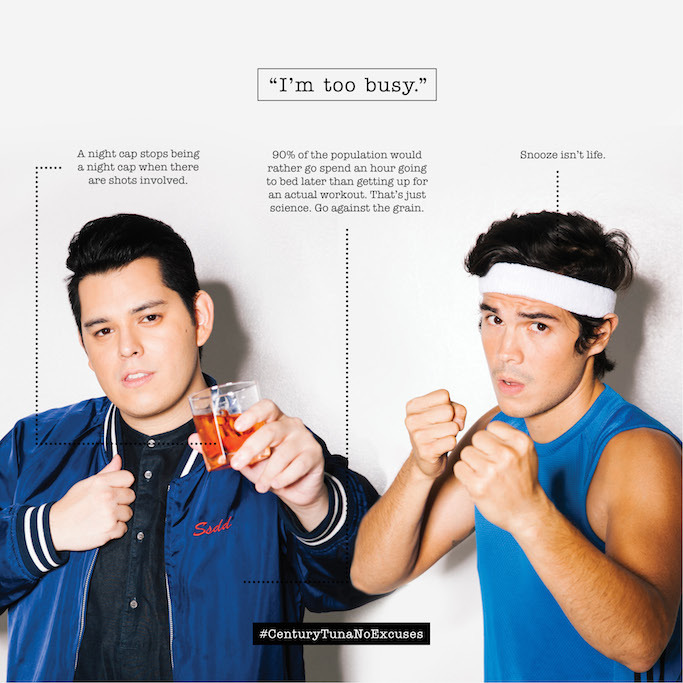 To set an example, celebrity Raymond Gutierrez will take the "No Excuses: The Century Tuna Challenge" with the help of his friend and lifestyle coach Erwan Heussaff, nutrition coach Nadine Tengco, and fitness coach Arnold Aninion. Century Tuna is a healthy canned food that's so easy and convenient to prepare, you just need lots of creativity to come up with new dishes! Have any other healthy / vegetarian restaurants and grocery foods that you think I should try? Nope not much on mind haha! These are of great help actually, since Im tryna focus on that healthy way being fit Thankyeww ana!!! I should try all these and go back to merkanto soon! Yey, thanks Jullia! Will try to discover more next time!